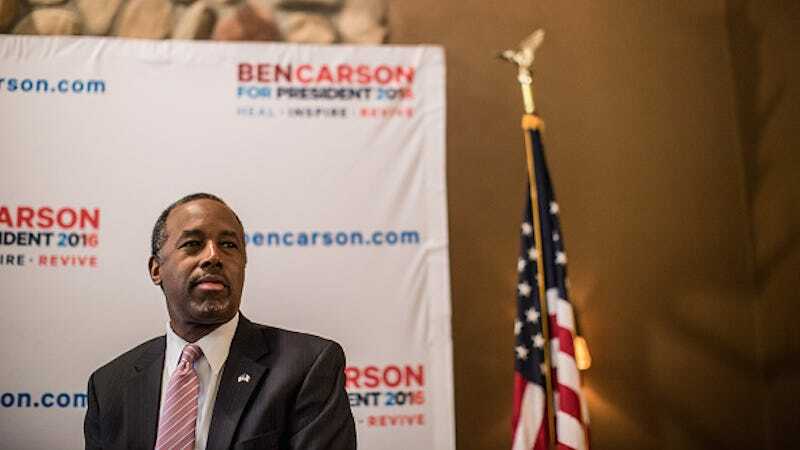 Republican presidential candidate and retired neurosurgeon Ben Carson will return home to Florida after the Iowa caucuses on Monday, February 1. Jason Osborne, a spokesperson for the Carson campaign, tweeted that the candidate’s decision was largely based on the weather. There is currently a blizzard warning for the Des Moines area on Tuesday so, you know, precautions are necessary, as is clean underwear. Once ahead of Republican front-runner Donald Trump, Carson has since fallen out of favor. His campaign manager and communications director have also stepped down — but everything is going just dandy, really. He currently occupies fourth place in the Iowa polls. Top Image via Getty. Embedded Image via Twitter.